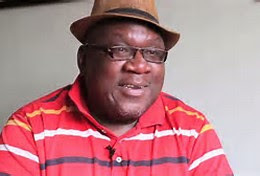 Charles Bukeko who is populary known as Papa Shirandula is a top Kenyan comedian and actor. He is the main actor in the local TV series in Citizen TV called papa Shirandula that hits the screens from 7.30 pm to 8.00pm every Thursday. Papa shirandula too is not happy after Pastor James Nganga’s incident where it is alleged that he hit and ran killing a woman on the spot. He was ‘high’ according to eye witnesses. Many Kenyans are not satisfied with how the matter is being handled. The pastor is scot free and yet he ‘murdered’ someone. Justice delayed is justice denied. The police are even defending him, seriously! Where is Kenya heading to? No one is above the law, not even the president and yet some prominent people and leaders commit mistakes and walk away with them. Before you arrest anybody you must have enough evidence and witness who are willing to go before a court of law and testify. In Kenya you are know world wide as people who can not testify in competent court of Law. You also have a habit of witness disappearances. Pastor Nganga does not know me and I think to be fair to everybody involved in this matter any body with evidence go the police and make your statement.It is very easy to convict anybody in the public opinion court than you can go and record a statement at a police station.